« US Monetary Monkeying Around. This entry was posted on October 30, 2009 at 11:27 pm and is filed under Biology, Catastrophe. You can follow any responses to this entry through the RSS 2.0 feed. You can leave a response, or trackback from your own site. I would just like to commend who ever wrote this article, thankyou! I totally agree with the points of this article in that this is not just global warming but the collapse of the Biosphere! I would also like to mention that burning fossil fuels puts harmful chemicals like Mercury into our food (fish). For this reason we must be careful and not consume too much fish as the mercury we put in them could cause us harm. We are seeing changes in the patterns of nature that will forever change humanity. Copenhagen has failed, President Obama’s Cap and Trade Bill has failed, we are at a crossroads. By 2020 we will begin to feel the severe impacts of a dying Earth, lets face it, we are killing the planet. Thanks for you in turn to read my essay! Yes, we are killing the biosphere, it is not just about CO2. As you point out, coal burning from China emits a lot of mercury vapor, which then condensate in the cold Arctic. So, in the warming, but apparently pristine Arctic, one has the highest mercury pollution on Earth! And so it is, all over. Isn’t it the case that the melting poles will not raise sea-levels due to the same basic physics that dictate that a melting ice-cube will not raise the level of a drink? There are density differences between fresh and salt water, and there’s a possibility perhaps that a lot of the melting ice is not currently buoying on water… I dunno how significant all that is ultimately. I don’t know what the hell to believe about anthropogenic global warming – what chance do I have to really understand first-hand for myself!? If I choose a ‘side’ I am just doing so for personal silly reasons, like most people – because one side or the other won me over with their propaganda. It is true that a vast part of the Antarctic ice shields in west Antarctica, just displace the ocean, and will melt without changing sea level. However the East Antarctic ice cap is as much as 4,000 meters thick, Greenland’s 3,000 meters (10,000 feet). When they melt, they will rise sea levels by 75 meters (sea level has already risen by 135 meters or so since the last great glaciation). 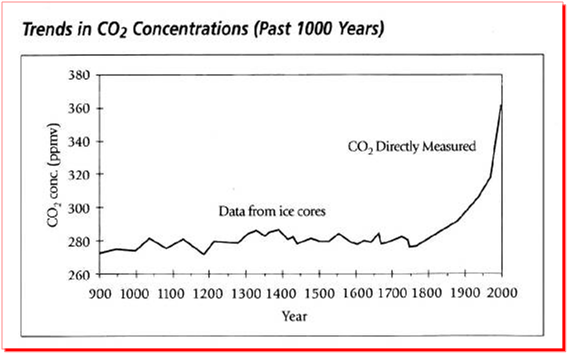 The CO2 production is real, and acidify the oceans (worst proximal problem). It’s the highest rate of CO2 in 20 million years, and we add other gases to the mix. However, weirdly, the sun has been slowing down, especially in the last decade, and so one has compensated the other a bit as far as temp rise. Moreover, as new degrees of freedom open up, the energy leaks into these, instead of just rising temperature. There are other reasons to shut down the CO2 production, anyway. One of them: peak oil. I may write an essay on the subject of the energy quandary. Thanks for the blog reference. Peak oil theory is not, by the way, reserved to the leftist fringe. Besides being pretty much in evidence, it’s the official theory of Total SA, the fourth largest oil company (which has long done extremely deep water drilling in the North Sea and off Angola, as a result). Thanks, I didn’t know that the ppm never went past 300 for so long ago! Assuming 450 billion tons of oil and coal have been consumed since 1900. This = almost exactly a 1 meter spherical shell of pure CO2 gas added which checks well with a forty% increase. We need to build competing vertically integrated companies that employ ROBOTICS to make solar panel dirt cheap, and which also employs the people needed to install over at least 50,000 sq miles. We need competing robotic factories for utility scale batteries (and EV batteries) too. Is this the only way out (besides either massive dieoffs or closed cycle nuclear)? Oh, I disagree on the “fools” remark because that would only make deniers less willing to search. It happened to me and in NO WAY would I support their topic EVEN if they were right (because we humans are not of Vulcan origin)! Its now July 2, 2015. Everything reported here is true, your predictions show accuracy. The ice caps are melting ,the oceans have acidic dead zones, the liars are still lieing and Earth, the finest planet ever known to mankind is becoming unihabitable. Since the industrial revolution the population has grown rapidly, the Earth can no longer sustain the human population. People are starving due to drought, forrests are dieing, permafrost is melting and releasing excessive CO2. Moronic capitalism with the support of Abrahamic dogma facilitates this disaster while Americans and others are taught to be stupid, lay on sofas drink beer, smoke cigarettes and watch sports while being fat and lazy. All this sponsored by the perpetrators of treason to the human species for the sake of their personal gread, lust for power and money and prevelent narcissism. We may need to rethink religion, politics, money and the common biosphere to perpetuate life on Earth. hi Gary, and welcome! Yes, things are not improving. The Russian government just announced its official warming numbers. They are stunning: according to Russia, the averages have gone up by 2.6 degree CELSIUS. So the Russians are telling us that we have gone right through the “Two Degree C” limit already. This is caused, in part, by Russia’s northerly position. They now have counted more than twenty GIANT methane explosion craters. You just gave words to my long-term fears. In the late 80’s, i studied ‘environment’ at university level in the Netherlands and ever since i observed that we are on track for worst-case scenario’s. Too bad these scenario’s are getting more worse every year. Hello Dizid and welcome! We are all too close to the worst case scenario, indeed. The greatest tragedy, is that we could avoid it, with EXISTING technology. But the switch over to a non greenhouse economy needs to be mandated by law. Thankfully, California adopted the toughest anti GHG agenda last week. This could still turn OK, but now it is a matter of years at most, before the climate seizes up! There are a lot people who don’t believe this and less that do. Many feel powerless to do anything about it. A minority feel they need to relocate.